Q. After I had cataract surgery and facial surgery, I loved sleeping in my recliner for days on end. Does sleeping while sitting up put my brain and vital organs at risk since the blood supply has to travel uphill? A. 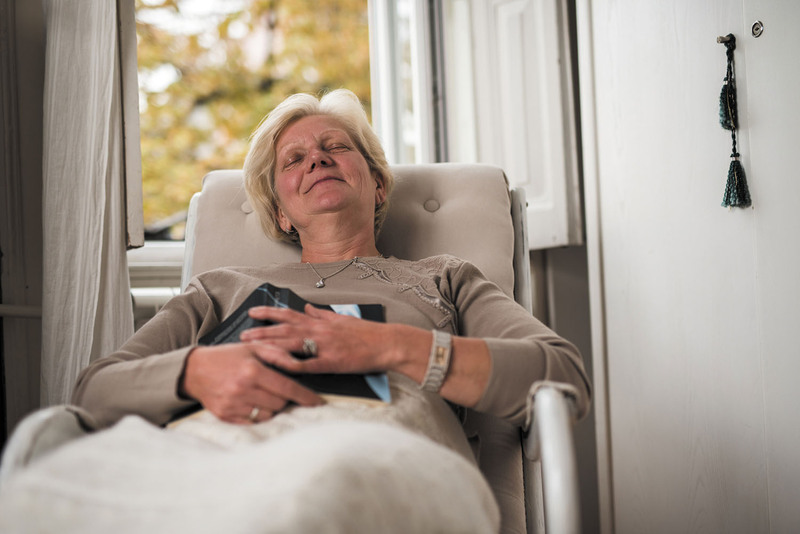 Sleeping sitting up in a recliner shouldn't be harmful. It could, in some cases, raise your risk of deep-vein thrombosis, a blood clot in a limb that can occur if your arms or legs are bent and you are motionless for hours. This sometimes occurs in people who sit still for long periods of time in an airplane seat. But provided you are comfortable and can recline back slightly, there should be few risks to sleeping upright, assuming it doesn't interfere with your ability to get a good night's sleep.